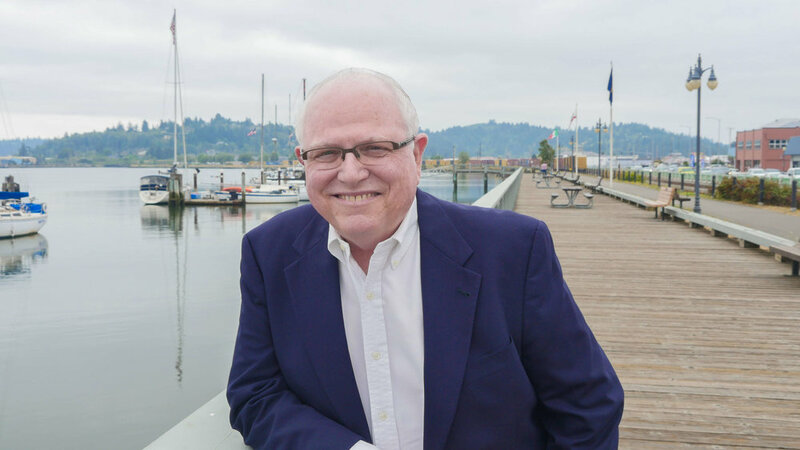 Appointed by the Governor, the Oregon International Port of Coos Bay’s (Port) Board of Commissioners is charged with fostering the economic development of Southwest Oregon and the State. Throughout the years, this has looked different depending on the economic, environmental, social, and cultural circumstances of the time. However, the Port has always and will continue to make progress towards the goal of sustainable economic development. It is no different this year as we have taken up the challenge of doing the hard work necessary, first internally, and laying the groundwork for solid economic growth into the future. Growing up in the area, I remember Coos Bay in the 1970’s during a robust timber-based economy. However, the economic landscape changed significantly after the fall of the timber industry and the regional recession that still plagues us. Moving forward, our vision is for a diversified portfolio that includes many different industries thriving together making us more resilient to any circumstantial changes in the marketplace. The Port has made steps towards this goal by expanding our reach, actively seeking new business opportunities this past fiscal year. Infrastructure plays an enormous role in Port operations. We are the stewards of a multi-modal transportation network including the Charleston Marina, the Coos Bay Rail Line and the Coos Bay harbor navigation channel. According to the American Society of Civil Engineers, America’s current infrastructure scores a D+ which indicates that most of America’s infrastructure is in poor to fair condition and mostly below standard. Not only is infrastructure development a national need but also a local need. Infrastructure holds us together and serves as an economic lifeline for rural communities like ours. Therefore, it is vital for us to continually maintain and update the Port’s infrastructure to provide avenues for trade to move through Coos Bay. Infrastructure improvement on the Coos Bay Rail Line remains a top priority. With many of the original 100-year old structures still in place today, securing funding for and conducting capital improvement projects is necessary to maintain the vitality of the line. The current capacity of the Coos Bay Rail Line can and must be expanded to facilitate future growth and more cargo movement. However, in order to get to that point, we must have solid foundational infrastructure, a focal point for our railroad capital improvement projects thus far. It is also important for us to provide our commercial and recreational fishing fleets with the facilities they need for their business. This year, we have improved the Charleston Marina Complex infrastructure at the marina and shipyard through various capital projects. These projects, like the new storm water treatment system, ensure environmental integrity, better user experience, and long-term economic support. Finally, the Channel Modification project remains a priority in capital improvement. This project will allow the Port community to improve shipping capabilities and increase efficiencies in shipping. We also champion the Jordan Cove Liquefied Natural Gas terminal which will provide multiple economic opportunities for this community and provide an alternative source of energy for international customers looking to reduce their carbon footprint. These exports also play a role in offsetting the imbalance between current U.S. imports and exports. The Port is held to a high standard for leadership in economic development for our region. As your Board, we do not take this responsibility lightly. All Board members remain independent of the Port and provide strategic guidance viewing the Port within the whole of the community and state. We thank you for your trust in us as we continue the journey toward a sustainable and diverse economy for Southwest Oregon region. Looking back, I am pleased to say that the Oregon International Port of Coos Bay (Port) has made steady progress in all three of our business lines which include the Coos Bay Rail Line, the Charleston Marina Complex, and maritime commerce. This year, we have taken a hard look at the foundation of Port operations to determine areas of improvement for sustainable long-lasting success for the Port and long-lasting economic growth for the community. This meant raising expectations for ourselves and for our stakeholders and customers, continuing to pursue and conduct capital improvement projects for our multi-modal infrastructure, and exploring new opportunities backed up by thorough research and planning. This year, Port staff has stepped up to the plate as we have expanded our capacity and developed internal talent to take on the challenges and opportunities of tomorrow. Several achievements include streamlining financial software, improving lease management, creating an internal rail department and investing in staff development. We recognize that maintaining talent in rural Oregon is a challenge but is essential for our organization to become the best Port for this community, state and nation. Increasing internal capacity has allowed the Port more opportunities this year to build and maintain great relationships with our stakeholders and customers. Our rail department has worked tirelessly to gain a thorough understanding of our shippers needs, opening new lines of consistent communication to provide a better level service. We have also taken a deeper dive into Port leases, being proactive and working with tenants to create win-win relationships. These are just a couple of examples of how our staff has made the effort to have the difficult but necessary conversations to build deeper and longer lasting relationships with the Port community. On behalf of Port staff, I would like to the thank our customers, stakeholders, and port community for your partnership. Infrastructure improvement and development continues to remain a top priority for the Port. This includes rehabilitation and upgrades on the Coos Bay Rail Line. The rail line still has original 100-year structures that need to be replaced or upgraded to be viable for long-term cargo movement. We recently kicked off our tunnel and bridge rehabilitation projects to upgrade the nine tunnels and 121 bridges along the line. Pursuing funding for and conducting capital improvement projects for the Coos Bay Rail Line (CBRL) is vital for current trade and future economic growth. CBRL is an important cargo link for our shippers to reach national and international markets, bringing in millions of dollars to our region’s economy. It is a link the Port will continuously preserve and improve to ensure economic stability for our customers and community. We also continue to make steady infrastructure updates in the Charleston Marina complex including installing highspeed internet and picnic tables in the Charleston RV park, making continual upgrades to the Charleston Marina ice house, docks, and parking lot, and installed a state of the art storm water system in the Charleston Shipyard. These upgrades, although not glamorous, are necessary in providing better service to customers and preserving environmental integrity. This past year has been a year of exploration as well. The Port has worked diligently to expand our reach in terms of awareness, stakeholder outreach, and business development. We have utilized different avenues of marketing, hosted conferences, talked to industry experts, opened doors to potential new business opportunities, and completed countless hours of market research throughout the year. These efforts have allowed us to form a solid baseline of the Port’s potential business capacity. We will continue these efforts next year as we continue to meet with stakeholders, complete a Feasibility Study focused on maritime terminal development, and conduct market research studies for the Coos Bay Rail Line and the Charleston Marina. Finally, I do not want to overlook the steady efforts of the Port’s maritime operations. Port staff continue to move forward with the Channel Modification project which is currently in the Environmental Impact Statement phase. This process includes public feedback gathered earlier in the fiscal year. In addition, the Port continues to champion and support the Jordan Cove LNG project as it moves forward. We believe that this project is an important step toward a diverse economy which will result in a multitude of benefits to both our community and global environment. Moving forward, the Port’s vision is to see a thriving and diverse economy that is supported by a variety of industries, raising the regional standard of living, and promotes an environmental sustainability. This will require solid multi-modal infrastructure, long-term stakeholder relationships built on trust, environmental integrity, and continuous business development and innovation. To make this happen, the Port has refocused its strategy under six guiding principles. These are: (1) creating a healthy and vibrant railroad (2) building state of the art maritime infrastructure (3) developing a deeper and wider channel (4) support the commercial and recreational fishing community (5) prepare a workforce ready to meet tomorrow’s work and (6) tie into the community. We are excited to leverage these strategic principles in Port operations for years to come. It is not an easy task, but the future is bright, and we look forward to continuing to partner with the Port community in working towards this vision. As your Port authority, we want to engage with you. Feel free to reach us at the Contact Us page with any questions or comments.